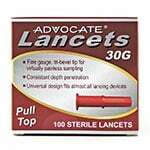 When choosing the right brand for your diabetes management, you need reliable choices backed by a solid reputation. 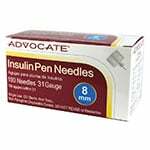 With a focus on quality and accuracy, Advocate has been manufacturing products designed for people with diabetes for more than ten years. Advocate's focus has been to develop quality products to the diabetic community to help make management more accessible and easier in the day to day life of consumers. As a leading option on the market for this need, Advocate products offer essentials such as blood glucose meters, glucose test strips, blood pressure monitors, lancing devices and lancets, insulin syringes and pen needles, and heating pads. 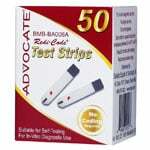 They also offer disposable products like incontinence underpads. 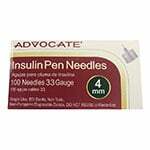 When you want a brand offering a complete lineup of care, Advocate diabetic supplies are the perfect solution. 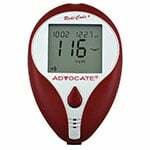 The line of Advocate blood glucose monitors offers both coded and no-code meters for added diversity when shopping for this essential item. 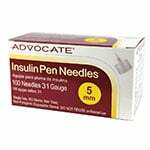 A leader in making life with diabetes more manageable, Advocate also offers meters that talk, including several versions that are bi-lingual, speaking the user's test results in either English or Spanish. 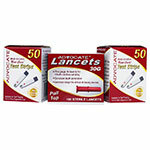 In addition to the high performing and easy to use monitors, we also offer a complete line up of related Advocate diabetic supplies to accompany your meter such as test strips, lancets, and more all in one convenient place for your shopping ease. 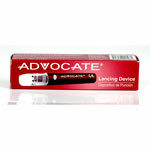 We also offer pen needles in our selection of Advocate products. 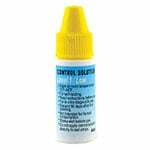 Choose from a range of sizes and options when shopping our diverse selection from this trusted name on the market for diabetes management solutions. 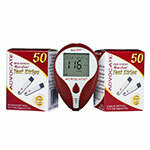 In addition to diabetes solutions, we also offer their blood pressure monitors in our inventory. 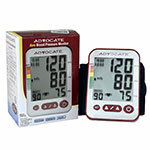 Made with ease of use and accuracy of results at their core, Advocate's line of blood pressure monitors offers models for all levels of users – from beginner to advanced. They produce monitors to be used on either the wrist or upper arm. 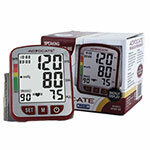 All of the Advocate blood pressure monitors have large screens so the results can be read easily. 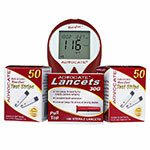 Similar to their blood glucose monitors, this trusted brand has also created blood pressure monitors that can speak the results to the user. Some of the talking BPM units are bi-lingual, offering the results in both English and Spanish. 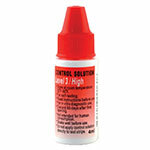 If you have any questions while shopping with us, please reach out for further assistance. Our staff is always happy to assist you further in finding the right solution for your individual needs.